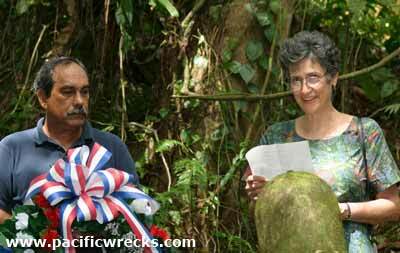 This past month, a memorial service was held at the wreck of a USMC PBJ (B-25 used by Marines) on Ponape Island. This loss, one of thousands of American planes that crashed in the Pacific represents a special event, where its loss was commemorated by both the governments of the Federated States of Micronesia and United States, held at the crash site. This story acknowledges how the few remaining wrecks from WWII are more than metal wreckage... they are our history... and graves of those who served. This month's update is full of other fascinating stories contributions by long-time collaborators to the site. Favorite John Douglas tells his amazing story about the research into the "Nelson Flack Incident" when three planes crashed in the same area. Also, an interview with the only living participant, Eugene Salternik who I interviewed. Learn about what an 'ordinary' day is like on Guadalcanal from John Innes, and about the small but significant role Tonga played in Pacific WWII history. And, Stan Gajda's visit to a tragic P-40 crash site. Sunday, March 13th @ 1pm For those in the southern California area, please join me at the Long Beach airport's conference center for a (free) lecture on on early Pacific B-17 operations, and a special pre-release screening of the new "Swamp Ghost" DVD, telling the story of B-17E 41-2446 - lost on America's first bombing mission in the south Pacific, and the last fully intact WWII wreck in known in the world. There will be a brief lecture and Q&A. I look forward to meeting more of you in person. 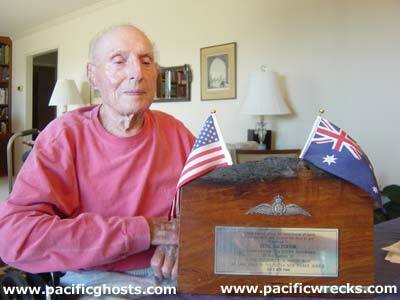 by John Douglas The amazing story of escape and survival of a P-40 pilot, Nelson Flack who was shot down behind enemy lines, and the brave efforts of several L-5 pilots to rescue him, and an Australian commando who walked back to friendly lines. Douglas rediscovered the location of the P-40 and the two L-5s, and unlocked this amazing story! 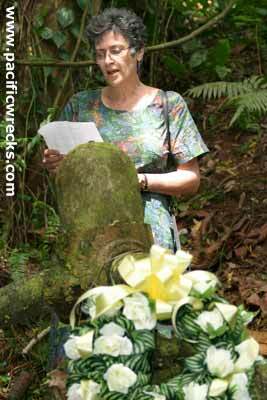 On the 60th anniversary of its crash on February 6, 1945 a group gathered at the crash site of Marine Corps PBJ 35275 on Ponape Island. Like every loss, this wreck has an incredible story. Nicknamed"Love Bug" it had two aircrews, each piloted by one of the two Love brothers: William and Robert Love. On February 6, 1945 William and his crew never returned. 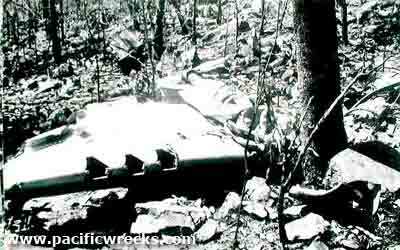 by Stan Gajda contributes photos from his 1982 visit to "Tarheel" a tragic P-40 crash site in Northern Territory, Australia. Victim of a training accident and mid-air collision piloted by George Preddy. The only surviving veteran of the "Flack Incident", Salternik tells his side of the story, and reactions to Douglas' discovery of his old L-5! Also, about his role in other campaigns in the Pacific. Although fighter pilots got all the glory, it was men like Salternik that preformed an equally important role in the air, and a variety of missions including rescue, observation, resupply and more. by Tom McLeod. Amazing historical research piece about the minor, but important role of the tiny Kingdom of Tonga during World War II. Commissioned by the King of Tonga during the 50th Anniversary, it is presented on the internet for the first time, including then & now photos and wartime documents. 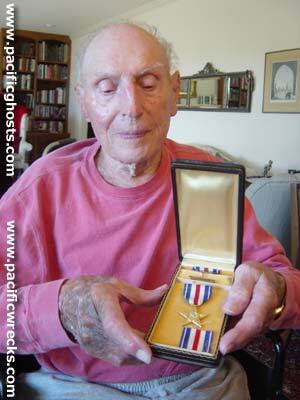 Tom McLeod is an author and founder of the Museum of the Pacific in Texas. View all WWII Pacific Book, Magazine and Video Reviews a comprehensive source for all the best Pacific related references and reading. Have a book related to WWII Pacific to recommend? Write a review and add it to the archive. This month's update focuses on new DVDs and multimedia releases. Review by Daniel Leahy. It is a relatively well known fact that a handful of German navy vessels operated in the Indian Ocean during the pre-Pacific days of World War Two. Having been introduced to Second World War history with an interest in German European operations, this book helped bring my attentions to the Pacific theatre of the WWII. This book is a detailed account of US Navy Rescue Squadron VH-3, that flew the PBM Mariner Flying Boat in the Pacific. The book explores both the history of the unit and the PBM they flew. The book tells amazing stories of survival of how the flying boat was able to land in the roughest of seas and survive miraculous incidents. 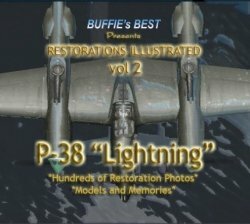 This two disc set is jam-packed with information, interviews and data related to the Lockheed P-38 Lightning, and several restorations worldwide including the Classic Jet Museum's by Bob Jarrett. 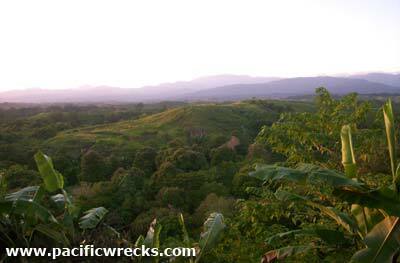 Great links related to WWII Pacific, submitted by users of the Pacific Wreck Database site. Do you know of a good Pacific related website? Email the URL for inclusion in our comprehensive list of links! This is an independent & unsponsored site, that grows with audience participation.